Making Smith History Come Alive! While the snow last week did not pile up to the height of the snow seen above, trees were the primary victims on campus. 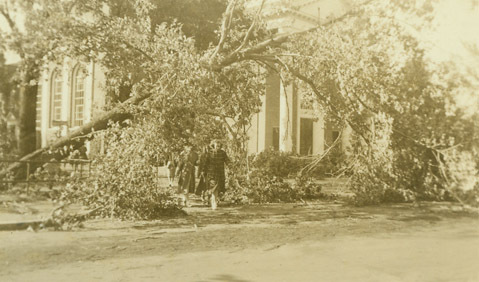 When the Hurricane of 1938 swept through campus, the trees were especially hard hit. Scenes like this one along Elm Street were replicated on all sides of the campus. 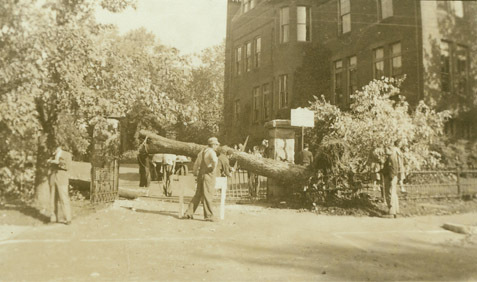 Below, trees obscure the front of Sage Hall and block the side entrance to the College along Green Street. 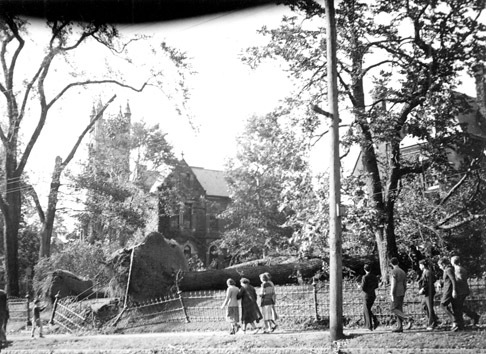 As I look outside I see a stack of wood from the American Beech tree that was split in half near the Lanning Fountain. A large toppled pine tree rests in the waters of Paradise Pond blocking the walking path near the Tea Hut. There are signs of spring around. The crocus are blooming in the Botanic Garden and the Bulb Show begins at the end of the week. We enjoy the sunshine as we get ready for “mud season” but know in our hearts that the weather will change in a minute and the storms of winter may not be over quite yet. 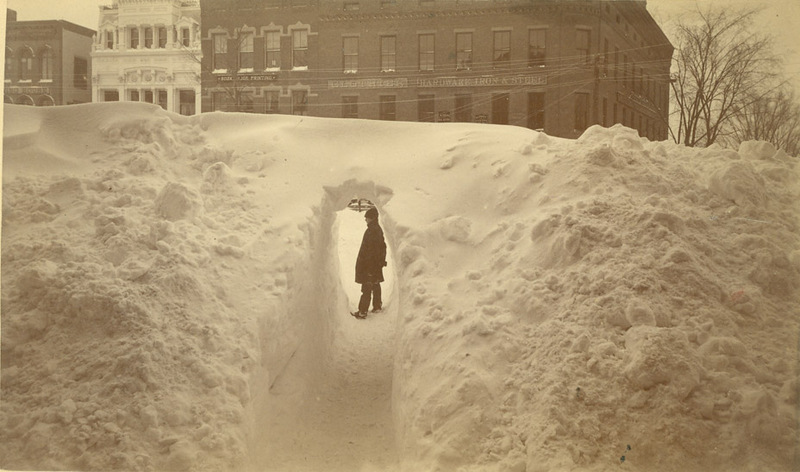 Comments about the weather can be found in numerous sources in the College Archives including student letters, journals and diaries, as well as published sources. The images for this posting came from files in the Northampton & Local History Collection. Come and explore what the College Archives has to offer! 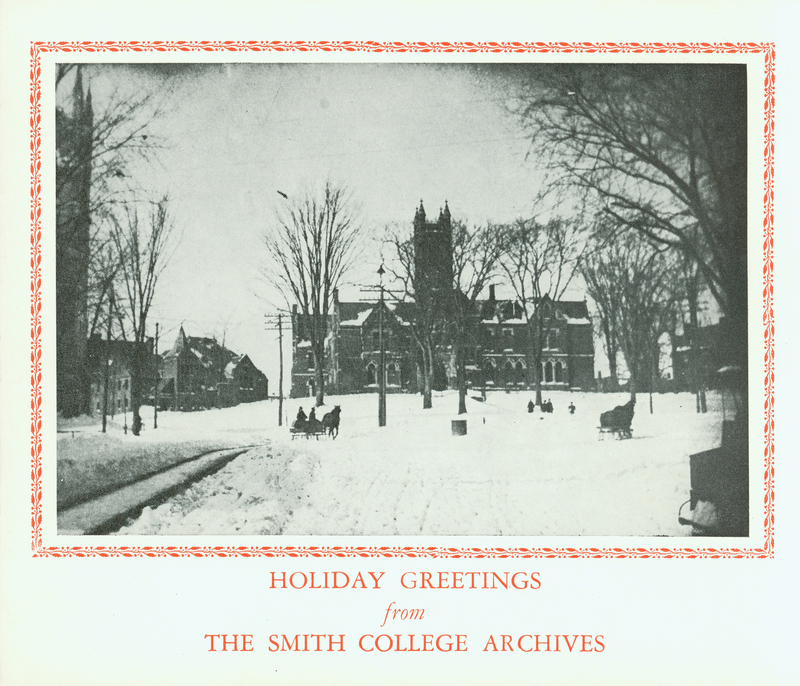 Christmas card created by College Archivist Margaret Grierson in 1965 with an undated photo of College Hall in the snow. In 1940 Margaret Grierson became the second archivist in Smith College history. Grierson was an all-around Smithie: receiving her A.B. 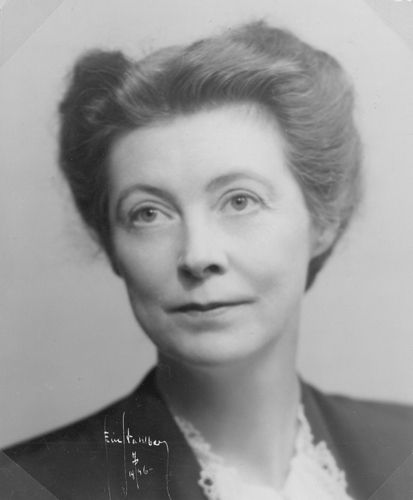 from Smith in 1922; joining the Department of Philosophy from 1930 to 1936; and finally, holding down three positions simultaneously in the Library (College Archivist, Executive Director of the Friends of the Smith College Library, and Director of the Sophia Smith Collection) until her retirement in 1965. Margaret Grierson in 1946. Portrait by Eric Stahlberg, Northampton, MA. Clara M. Greenough, a member of the Class of 1894 recalled the snowball fight where ready-made snowballs froze the night before and ‘…became cannon balls” and were used by the Sophomores ‘…to unpleasant effect…The air was filled with taunts and screams and squeals’ until the battlefield was surrounded not only by students, but by faculty and townspeople, curious about the ruckus. After the battle was over, the sophomores were victorious. When this woodcut was published, Grace Landen (Rickey), Class of 1893, noted that someone [President Seelye], put his foot down and “this was the end of snowball fights” at Smith. Smith women take to winter in less competitive ways as well. This photograph is of the 1906 snowshoeing club, as they clomp around Paradise Pond. Remember, these are the days of cat-gut and wooden snow shoes. Some folks still use them! Skating on Paradise Pond is also a great way to enjoy the outdoors. Just the other week when frigid artic temperatures hit Northampton, a cleared space appeared on the Pond, and all would-be NHL All-Stars, Olympic figure skaters, and their families were out on the ice. Smith women are creative in the ways they fight cabin fever. Not everyone embraces the outdoors, but they can find pleasure in creating snow sculpture, and snow angels; in drinking lots of hot tea and hot chocolate, as well as making plans to head to someplace warm for March break! May you find the perfect way to relieve cabin fever this winter. Just remember Puxatawney Phil says there’s 6 more weeks of it to come! You are currently browsing the archives for the Wintertime category.